Home > Fringe/ Tassle/ Faux Suede > Sage flat cord eye drop beaded fringe 1 1/2 inches wide. 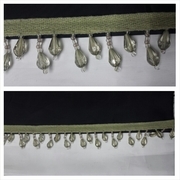 Sage flat cord eye drop beaded fringe 1 1/2 inches wide. 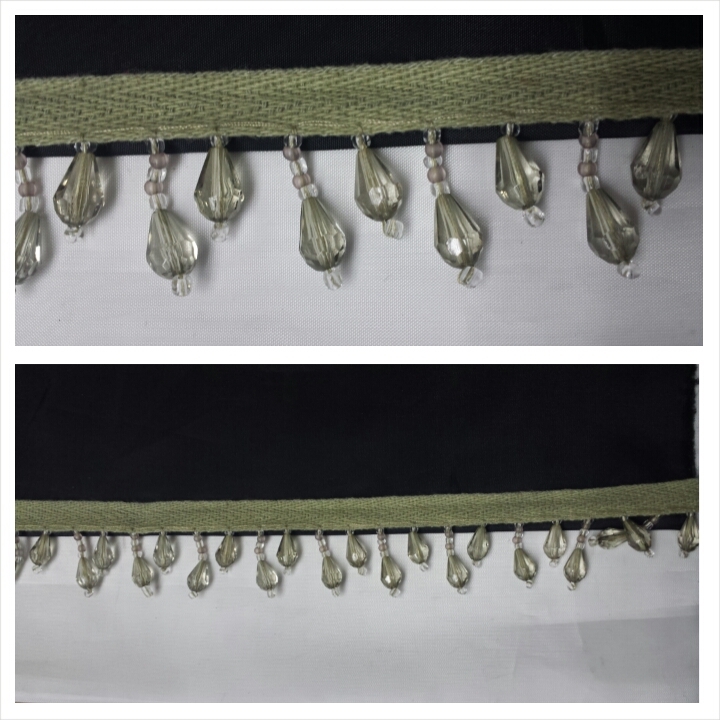 This is the price for 1 yard of this sage flat cord beaded eye drop beads fringe trim. This trim measures 1 1/2 inches wide. The flat cord measures 1/2 inch wide and the eye drop beads measures 1/2 and the other 1 inch.